Evie Marcolini, MD is an Assistant Professor of Emergency Medicine and Neurocritical Care. She has clinical appointments in the Department of Emergency Medicine and the Department of Neurology; and is core faculty in the Emergency Department as well as the Division of Neurocritical Care and Emergency Neurology at Yale. She has board certifications in Emergency Medicine and Neurocritical Care, and is fellowship-trained in Surgical Critical Care from the R Adams Cowley Shock Trauma Center in Baltimore, Maryland. Evie is Medical Director for the SkyHealth Critical Care helicopter transport service that is shared between Yale-New Haven Health System and Northwell Health. She is a Fellow of the American College of Critical Care Medicine, American Academy of Emergency Medicine (AAEM) and American College of Emergency Physicians (ACEP), and is a member of the Board of Directors for AAEM. She is the past Chair of the Critical Care Section of ACEP, and active in all three societies, with a goal of bringing emergency physicians to the forefront of critical care in all realms. Evie is an active educator and speaker, with an interest in neurocritical care topics as they relate to emergency medicine and bioethics as it relates to emergency medicine and critical care patients. She has, and continues to lecture nationally and internationally, and has won the ACEP Junior Faculty Teaching Award. Evie is very active in bioethics, as a member of the Yale-New Haven Health Ethics Committee and the Society for Critical Care Medicine (SCCM) Ethics committee, and teaches ethics seminars in the ethics of neuroscience and of emergency medicine annually for the Sherwin B. Nuland Summer Institute in Bioethics at Yale. She has been awarded the Grenvik Family Ethics Award from SCCM. Evie is a co-editor of the textbook: Emergency Department Resuscitation of the Critically Ill, which is now in its second edition, is a co-author of an upcoming book on mechanical ventilation in emergency medicine. 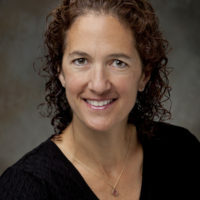 She has been active as faculty for Wilderness Medical Associates International since 1992, and teaches wilderness medical courses to medical students, residents, faculty and allied health professionals nationally and internationally, as well as having served as Faculty Advisor to wilderness medicine interest groups at the University of Maryland and Yale. When not involved in academic pursuits, Evie loves to spend her time running and skijoring with her two Siberian Huskies.